Café Postal, 202 Provencher Boulevard, Winnipeg, MB. All books will be available for purchase. The practice of ceramics and bookbinding are both rooted in ancient methods. The book is a container for thoughts, ideas, memories, emotions. Likewise, ceramics are containers too – vessels that have long been used for safe storage of sustenance. Both book and ceramic are functional objects that frequently serve in sacred ways. To view last year’s project go to Stone Diary Project I. In conjunction with Doors Open Winnipeg on May 27 + 28, 2017, the ARTlington Studio artists will once again be putting on a Full Spectrum gallery exhibition celebrating our building full of great art. Join us at the ARTlington Gallery on Friday, May 26, 7 – 11pm for an evening of inspiring art and conversation. Following Full Spectrum, the artists of ARTlington will have their space open for shopping and studio tours on May 27 and 28 for Doors Open Winnipeg. Come see what ARTlington is all about! 2nd floor, 125 Adelaide St. 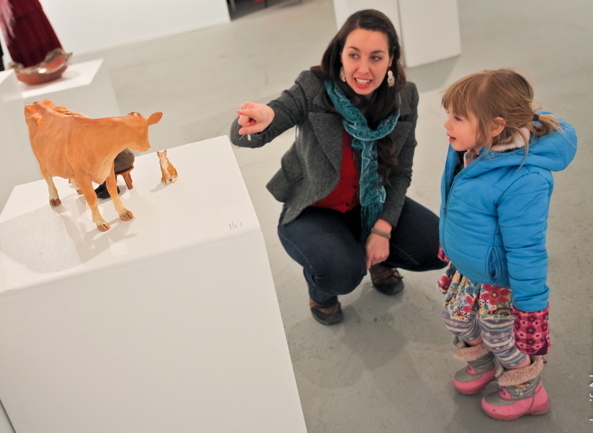 Opening reception Friday, January 30, 7-9 pm. A Celebration of Craft and the Community that is passionate about it! Featuring work in ceramics, fibre, metal, glass, wood, paper and more. Facilitated this year by Sherri Van Went, Manager of Retail Operations at the Winnipeg Art Gallery, this informal afternoon session will be an opportunity for participating craft artists to talk about their work, get constructive feedback and delve more deeply into the work presented in For the Love of Craft. This event is open to the public and all are welcome to attend. 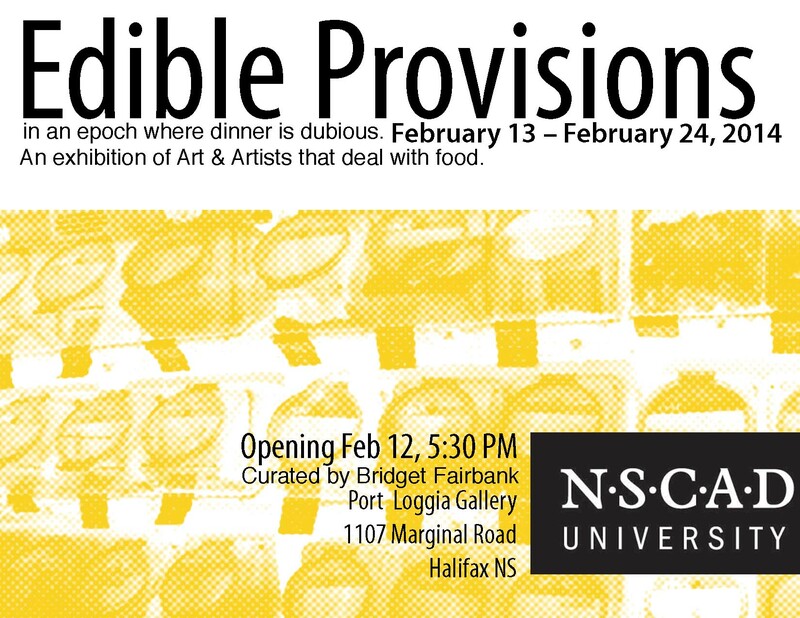 An exhibition of Art & Artists that deal with food.